If you’re in the business of selling food, the best way to work up your customers’ appetite is to build a website with fantastic imagery – from appealing photography and colors to vivid copy and interesting shapes. 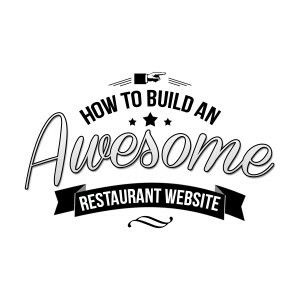 This week, we dive into the essential design elements of an awesome restaurant/food site and what can help your establishment stand out from the rest online. You’d think snapping a simple picture of food would be easy – but it’s not. In fact, the last thing you’d want to do is take a photo of food that doesn’t look anything less than fantastic. The Golden Rule of food photography for the web is to not bite off more than you can chew. Choose a few rock star items from the menu OR foods that share the characteristics of good design. Characteristics like color and texture contrast, interesting shapes, etc. Lastly – make sure the food looks interesting and is complemented with props that amplify its yumminess. Stick to foods that have a distinct look and can be easily identified. When selecting colors for your restaurant website, choose the ones that are natural to eating. For example – reds, greens and yellows are associated with fruits and vegetables. Reds and browns make people think about meats. Develop a strong palette that matches the tone of the foods that you intend to highlight. Also make sure your colors are more lively than normal. Your website – no matter if it’s food or not – should encourage action of some sort. Muted colors might look nice, but they don’t have the same effect of something that looks and feels alive. Copy is just as important as color and photography. Especially when it comes to food, it’s more important to ‘show, rather than tell.’ Your copy should compliment the imagery and reinforce why someone should want to drink or eat something. Use highly descriptive language that showcases why a particular food or dish is the best. Long story, short – make sure your selling points are clear. Shapes help with restaurant designs because they help make the site more intuitive on a variety of fronts. For one, they help to contrast the various navigation elements and make it easier to work through the site. Second, they also help contrast the different pictures, images, copy and design aspects to help you achieve a higher level of focus on each, individual element.